Amid the ongoing Lok Sabha elections, the political atmosphere in J&K is heating up. The parties are busy stitching up pre-poll alliance to strengthen their electoral chances and a new party J&K People’s Movement launched by the former IAS officer Shah Faesal has added a new factor to the charged situation – albeit Faesal has decided against contesting the Parliament election. On March 20 Congress and National Conference decided to come together by entering into a seat-sharing pact in J&K’s six Lok Sabha seats. According to the arrangement, Congress will field candidates in two parliamentary seats of Jammu. Dr Farooq Abdullah will contest from Srinagar parliamentary seat in Kashmir Valley. Interestingly, the parties will have “friendly contests” in three places — Baramulla, Anantnag and Ladakh constituencies of Kashmir. This has been done to prevent the secular vote from splitting which would have been to the advantage of the BJP. 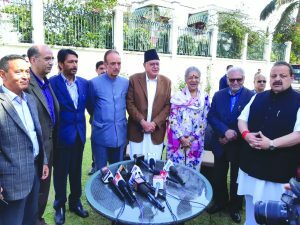 Although the PDP is not a part of the alliance, the party has also decided not to field candidates from the two parliament seats of Jammu in an obvious attempt not to allow the division of the vote in favour of the BJP. “The opposition front is not functioning as it should have but we have taken a unilateral decision to not field candidates from these seats so that the secular vote does not get divided,” PDP president Mehbooba Mufti said. Mehbooba herself is contesting from the Anantnag parliamentary constituency in Kashmir Valley where she will be up against the NC’s Hasnain Masoodi, a retired justice of the J&K High Court. In J&K, the upcoming Lok Sabha poll is seen as a warm-up exercise for the possible Assembly polls which are expected to follow shortly after. Six parliamentary seats give J&K little political weight at the national level in matters of government formation at the centre. 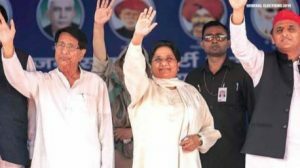 So, parties are more focussed on the Assembly elections which are fiercely fought by them – albeit, boycotted by a significant section of the people in the state. But winning parliamentary seats in the state will be important for the Congress and the BJP. They will be a brief addition to their national tally. However, in case of the Congress, even if a few of the state’s Parliamentary seats are won either by the NC or the PDP, they are likely to support Congress in Lok Sabha. For Kashmir-based political parties and also for a majority of the people, the ensuing general elections are of critical importance. 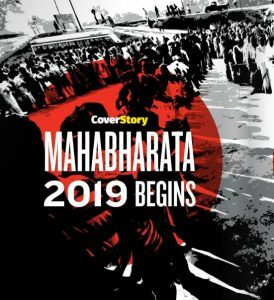 There is now a strong undercurrent for a non-BJP government at the centre which is hoped to revise the BJP government’s militaristic policy towards the state. The past five years have seen the situation in the Valley go from bad to worse. The central government under the BJP has abandoned the political engagement in favour of a muscular policy that believes in killing the way to peace in the state. The policy also abandoned the earlier efforts towards political resolution of the problem in Kashmir and aggressively pursued the assimilation and integration of the state into India. This has involved attempts to remove the legal safeguards guaranteed to the state by the Constitution of India. 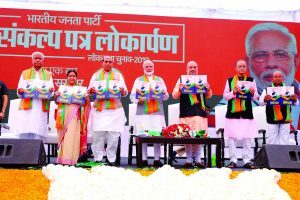 The BJP is also perceived to be behind the delay in the Assembly polls in the state which a near-unanimous political and public opinion wanted to be held together with the Parliament polls. This delay is seen as deliberate as it has put the J&K under the central rule leaving New Delhi free to deal with Kashmir as it chooses. And should the BJP return to power at the centre, the people see little chance of an early holding of the Assembly election. So, the Valley looks forward with trepidation at any prospect of the return of the BJP to power in the country and would rather want a Congress party or a secular opposition to make the new government. But then J&K has little role or political weight to influence in any measure the government formation at the centre, even though the situation in J&K becomes a major poll issue at the national level and does determine to a good extent how people vote. Kashmir is hoping for a change of the government at the centre which would pave the way for Assembly election in the state and which is where all the action will take place. So far, it is the National Conference which is appearing as the favourite to win Assembly polls. Not because there is some popular groundswell in support of the party but because it has become the default option for the people considering the endemic anger against the PDP following its disastrous coalition government with the BJP. And should the NC win the largest number of seats in the Assembly if not a majority, its preferable choice for a coalition would be the Congress. In many ways thus the. PDP’s bitter experience with the BJP has once again made the Congress as the natural coalition partner of the mainly Kashmir-based parties like the NC and the PDP. Congress ruled the state from 2002 to 2014 as part of the two coalition governments – first one with the PDP and another one with the NC. 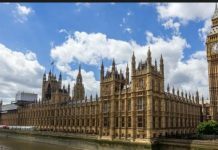 The party is now readying itself to be a part of a probable new coalition government with the NC. Hence an alliance between the parties for the Lok Sabha. Though the NC leader Devendra Singh Rana has said that the alliance with the Congress is specific to Lok Sabha polls, the arrangement is likely to be replicated for the Assembly election. The PDP is also pitching for a broader opposition alliance but has been miffed by the lack of reciprocity from the NC. But should such an alliance come through during Assembly polls, it will make it exceedingly difficult for the BJP to retain its 25 seats in Jammu province, paving the way, in all probability, for an NC-Congress government in the state. However, much also depends on which party comes to power at the centre following the general elections. A BJP government would put the J&K BJP once again on a stronger footing. And a Congress-led or backed coalition at the centre would make things relatively easier for the local Congress and the regional parties as they would be more open to being a part of it.. It seems raking up Kashmir and reacting to the developments in the state or statements of its leaders has become the favourite pastime of the cricketer-turned politician Gautam Gambhir. Soon after joining the BJP, his Twitter spat with the major J&K leaders Omar Abdullah and Mehbooba Mufti has brought him a generous media attention, an incentive, perhaps, for him to tweet and talk more about the state. 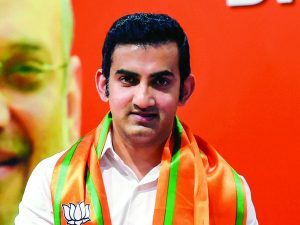 Gambhir’s latest brush with Kashmir began with his response to Omar’s demand for restoration of the posts of ‘Wazir-e-Azam’ (Prime Minister) and “Sadr-e-Riyasat” (President) for J&K. Former J&K Chief Minister said it in the context of the BJP’s policy to revoke Article 370 and Article 35A which grant the state special position under India’s constitution and the power to define citizenship laws respectively. Gambhir wasn’t discouraged. He followed the argument with Omar up with Mehbooba over her tweet that India’s constitution would no longer apply to J&K if Article 370 were to be scrapped. She also warned that all Indians will have to pay for the BJP’s folly of withdrawing Article 370 and Article 35A. Mehbooba’s tweet followed after a petition was filed in Delhi High Court urging the court to bar Omar and Mehbooba from participating in polls for their alleged anti-national statements. In response, Gambhir retorted saying “This is India not a blot like you that it will disappear”. This drew sharp reaction from Mehbooba who blocked him on Twitter. Ever since, Gambhir also visited J&K to campaign for the BJP and in his speeches too, he took on Omar and Mehbooba. Addressing a rally at Udhampur, Gambhir once again slammed Mehbooba for her “anti-national remarks”. “Mehbooba Mufti blocked me on Twitter but how will she block 125 crore patriots. Her dream to break India will not be successful,” Gambhir said while talking to reporters after addressing an election rally here. He also slammed Omar. However Gambhir’s Kashmir fixation is not new. Earlier too, he has sparred with people over Kashmir and reacted controversially to the developments in the state. In April 2017 he called for mass murder in Kashmir in retaliation for the heckling of the CRPF jawans by a group of Kashmiri youth, whose video had gone viral. Last year, Gambhir had slammed Pakistani cricketer Shahid Afridi following his tweet on Kashmir saying that Afridi “is, as usual, celebrating a dismissal off a no-ball”. Pakistani cricketer, in a tweet, had condemned the then killings in Kashmir and had urged the UN to intervene to stop the bloodshed. 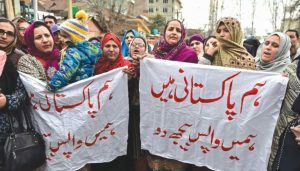 This group of women in Kashmir occasionally holds protests in Srinagar, the last such protest was held on February 3 on the eve of the Prime Minister Narendra Modi’s visit to the state. Their demand: “send us back to our families in Pakistan and Pakistan Occupied Kashmir”. The women came to Kashmir in the years after 2010 as part of the rehabilitation policy announced by the then state government for the Kashmiri youth who had crossed over to Pakistan or PoK for arms training and wanted to return to a normal life in the state. These women are the wives of these former militants. In their protest they carried banner which read in Urdu “We’re Pakistani. Send us home”. They complain they are being treated like criminals in Kashmir even though they are not infiltrators or intruders. One of them Kubra Gillani, 27, who hails from Domel area of PoK has been divorced by her husband Muhammad Altaf Rather. Around 450 youth had returned, many of them with their wives, under the rehabilitation policy. The state government had opened “channels” for them to return without arms and resume normal life. Government had selected four entry points — Poonch-Rawalakote (Poonch), Uri-Muzaffarabad (Uri), Wagah (Punjab) and Indira Gandhi International Airport, New Delhi from where the youth could enter the state following necessary clearance. But after the 2014 takeover of the BJP government at the centre, the plan was all but shelved. This, despite the fact, that the then Chief Minister Mehbooba Mufti who headed a coalition government with the BJP had suggested “legalising Nepal route” for those Kashmiri youths who have now shunned the path of violence and wished to return to their homes. But the wives of these youth have since been disallowed to return to Pakistan and PoK, even on an occasional visit. They complain of having no travel documents and also that their children are not being admitted in local school as they hail from the other part of Kashmir. There are women like Shahnaz and Raheela who are without documents and can’t visit their families. In case of Shahnaz, her father in PoK passed away two years ago, but she says that she learnt about it one year after the death. “Now my mother is ill,” she says and I can’t even go. Shahnaz is also concerned about her ailing husband Mohammad Yusuf Bhat. “What will happen to me if something happens to him”. But this is a fate that has already befallen Sumaira who lives in Shopian. Sumaira and her two sons and three daughters were denied the share in property after her husband’s death. She got it only after the villagers intervened on her behalf. Also, many of these women live in miserable conditions after being divorced by their husbands. This has left them without any property and documents. According to an estimate, around fifty of these women have been divorced by their husbands. One of them is Posha who lives at Handwara in a rented room with her three children after being divorced by her husband Abdur Rashid. She has now approached the office of the office of Muslim personal law board to plead her case. The women have approached Kashmir’s grand mufti Nasir-ul-Islam to seek his intervention on their behalf. So far, seven divorced women have approached Mufti Nasir which has left him worried. He has urged the state government to consider the cases of these women on compassionate grounds. He wants the government to either send these women back to Pakistan or rehabilitate them properly “as envisaged originally under the rehabilitation policy”. There is outrage in Kashmir over the Government ban on the movement of civilian vehicles along the state’s only highway for two days a week. On Sundays and Wednesdays, only security vehicles are allowed to travel along 270 kilometre stretch of National Highway 44 between Udhampur and Baramulla districts. 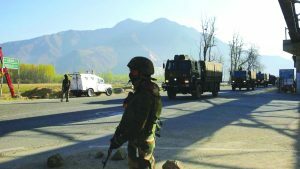 An April 3 order from the state’s home department said that the highway will be completely barred until May 31 for civilian traffic on the two days from 4 am to 5 pm to “facilitate the movement of security forces convoys” into the Valley. On the said days, not only is the highway made out of bounds for the people but many link roads connecting to the national highway are also blocked using barbed wires, preventing access of civilian vehicles on to the highway. 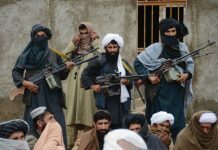 The government logic is that the ongoing Parliament elections in the state entail an intensified movement of the security vehicles in the state, rendering them vulnerable to attacks by the militants on the pattern of February 14 Pulwama bombing which killed over 40 CRPF personnel and triggered India, Pakistan skirmishes. More so, after the aborted second attempt along similar lines on a CRPF bus near Banihal. This time, mercifully, no security personnel was killed even though the car carrying explosives blew up and was reduced to charred remains. There is thus an apprehension that more such attacks could be mounted on security vehicles along the highway, resulting in the loss of the lives of the security personnel. And if the attack is believed to have originated from Pakistan, it can once again trigger geo-political consequences. So, the government doesn’t want to take any chances. But the Jammu-Srinagar national highway of which the banned stretch is a part is the only road connecting Kashmir with the rest of India. So, the two days bring Kashmir to a grinding halt, massively inconveniencing the people and disrupting the businesses. People have to seek permission and have to have a solid reason for the movement and which is not humanly possible for the thousands of people which need to use the road. In one case, a family whose wedding was scheduled on a Sunday had to seek permission for the movement of the groom’s baraat which has since gone viral on social media. “Shri Danish All s/o Showket Ali Bhat r/o New Qazi Bagh Anantnag District accompanied by 12 persons be allowed to move from Anantnag to Doda along with vehicles ——– in connection with marriage ceremony on 06-04-2019 and back on 07-04-2019 after proper frisking, security check. The permission is valid for 02 days only,” the order issued by the District Magistrate of Anantnag read. The order, however, was “subject to the Srinagar-Jammu NHW (National Highway) road clearance”. In another case a man was granted permission to travel by a duty magistrate by stamping and writing on the palm of his hand, the picture of which trended on the social media with people criticising the ban. The ban order has become emblematic of New Delhi’s new harsh approach towards the state. It has also invited comparisons with Polish government order during German occupation of Poland in December 1939 which prohibited Jews from entering or using pathways, streets and public squares from 9 p.m. to 5 a.m.
issued strong statements against it. “Kashmir belongs to Kashmiris. We can’t be banned from our own roads,” Mufti said during a protest against the ban. She also appealed to people to not accept the ban and defy it. “This is Kashmir, not Palestine. We wont allow you to turn our beloved land into an open air prison,” she said. Similarly, Omar termed the ban “mindless”. “Driving to Uri I’m getting to see first hand the extent of disruption & inconvenience that is being caused to people because of the mindless highway closure order that is in place today,” he said. People’s Conference leader Sajad Lone said the ban was “turning into a humanitarian disaster”. “Flooded with calls from across the state. People in dire need to travel in order to tend to their day to day needs of survival stuck in a state of helplessness. @jandkgovernor urgently needs to scrap the inhuman order,” Lone tweeted. However, this outrage has made little redeeming difference on the ground. Troops from police, CRPF and the army are posted along the national highway at every 500 to 1000 metres to enforce the ban. Some senior officers are also placed on the road to issue passes to the people in case of emergency. But it hardly helps lessen the hardships faced by the people. “An elderly man with his ailing child pleaded with the magistrate to let him go at HMT crossing. 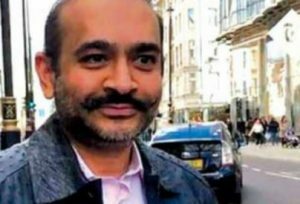 He was simply turned back and asked to find some other route,” posted a journalist on social media along with the picture. The move has also created some unease within the security establishment with some press reports quoting unnamed security officials debunking the ban order. In fact, the former Army chief General V P Malik has termed it a dumb idea. “Kashmir Ban on move of civ vehs on NH twice a week is a dumb idea 1. Goes against core object of winning hearts & minds. 2. Civil Adm must weigh pros & cons 3. Instead of strengthening local police & int, & improving move security, shows forces becoming over defensive”, former Army chief tweeted. However, the government, both in the state and at the centre, has shown no signs of revoking the ban. “Keeping in view the security of our forces and nation, we won’t succumb to any pressure and will not roll back the decision,” Singh said referring to the highway ban decision. “I am sure that this must have reached to the quarters concerned and they should now stop making hue and cry over this”. Facing criticism for closing down the national highway connecting Jammu with Srinagar, the Union Home Ministry took refuge in statistics stating the total duration of prohibition is for 24 hours out of 168 hours in a week, which amounts to only 15 per cent of the time. “The state government…has already clarified in unambiguous terms, that out of seven days in a week, only reasonable restrictions have been imposed, that too for 12 hours, two days in a week,” the MHA statement said. 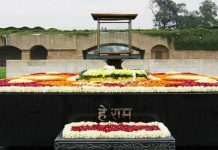 On the other hand, a group of twenty-six academics, analysts and former government servants including former Kashmir interlocutor Radha Kumar have written a letter to Singh to express their “deep distress at the continuing and indeed intensifying alienation of Kashmiris from the rest of India”. They have said that the moves like highway ban and the proscription of the parties like Jamaat-i-Islami and the JKLF undercut India’s “democratic credentials” and add to “disaffection” in Kashmir. 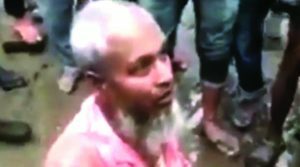 A Muslim man was allegedly beaten up and forced to eat pork by a group of people for allegedly selling beef in Assam. Shaukat Ali, 48, was assaulted at the Madhupur weekly market in Biswanath district on April 7. He was hospitalised. 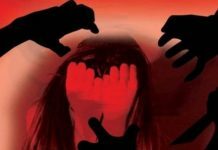 A case was registered with the Biswanath Chariali police station on the complaint of the victim’s brother Sahabuddin Ali. Biswanath Chariali, headquarters of Biswanath district, is about 240 km north-east of Guwahati. A video of the incident went viral on the social media. It showed a dazed Ali surrounded by a crowd demanding to know where he had come from and whether his name figured in the National Register of Citizens that intends to weed out illegal migrants. Sahabuddin said sale of meat of any kind was never an issue in the bi-weekly market of Madhupur. “Our father started running a rice-meal eatery at the Madhupur market every Thursday and Sunday more than 40 years ago. I took over from him and later let my younger brother Shaukat Ali ran it,” said Sahabuddin. 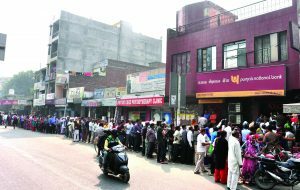 The district authorities, he was quoted as saying by a media outlet, assured him that action would be taken within 24 hours. On the night of April 8, the police arrested two people identified from the video of the assault that was uploaded on social media. On April 7, the day of the assault, the police picked up five people, including two market committee leaders, in a bid to disperse a mob. They were let go after signing a good behaviour bond under section 107 of Code of Criminal Procedure. attacking my brother, and could have taken action officially if we did not comply,” he reportedly said, adding that the mob mostly comprised people from adjoining areas. In his complaint, Sahabuddin reportedly said some members of the mob threatened to force-feed pork to his brother, who stays in the town behind the local police station. 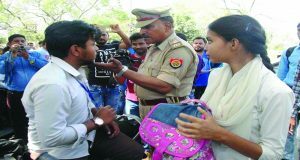 Khaund said the district administration had summoned leaders of local organisations, including the All Assam Minority Students’ Union, for a meeting toward normalising the situation. “We have made it clear peace must be maintained under any circumstances with the Lok Sabha election a few days away,” he stated. 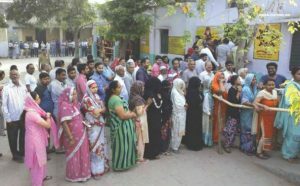 Biswanath Chariali falls under the Tezpur Lok Sabha constituency, which went to the polls with four other seats in Assam on April 11. 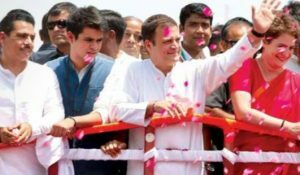 Ten candidates are in the fray but the contest is expected to be between Minister Pallab Lochan Das of the BJP and retired IAS officer MGVK Bhanu of the Congress. 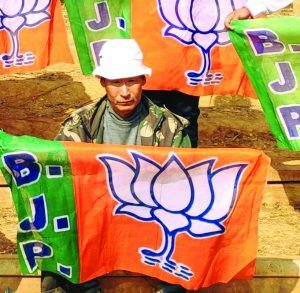 The constituency is currently held by the BJP’s Ram Prasad Sarmah, who was denied ticket by the party. Ali, who owns a food stall, claimed he was force-fed pork by the assailants. “We have also heard about that. It is a matter of investigation. A man arrested in connection with the incident was being questioned,” Superintendent of Police Rakesh Raushan was quoted as saying. Ali claimed he had been selling beef at the market for over three decades. The group also beat up 42-year-old Kamal Thapa, a contractor, for allowing Ali to sell beef dishes. The SP said raids were on to apprehend others involved in the incident. In August last, a man was beaten to death and three others were critically injured when villagers assaulted them on suspicion of being cattle thieves in Biswanath district, which is part of the Tezpur Lok Sabha constituency. There were huge protests over the incident. All India United Democratic Front’s wing United Democratic Student Front (UDSF) Hojai district committee staged a massive demonstration at the district headquarter at Sankardev Nagar in Hojai, in front of the deputy commissioner’s office. The demonstration was held in protest and demand the arrest of the culprits involved in the vicious attack on Ali. UDSF Hojai district committee president Atikur Rahman and general secretary Habibur Rahman along with their members handed over a memorandum to deputy commissioner of Hojai district which was received by ADC Gauri Shankar Das. In the memorandum, UDSF has demanded immediate apprehension of the culprits involved in the merciless crime and also demanded stringent punishment for those involved in this brutal incident. Through Hojai DC, one copy each of the memorandum has been forwarded to chief minister of Assam, director general of police, Assam and the human rights organisation. UDSF has further stated that if stern actions are not been taken within 24 hours, they will be obliged to hold massive demonstration lawfully all over the state.